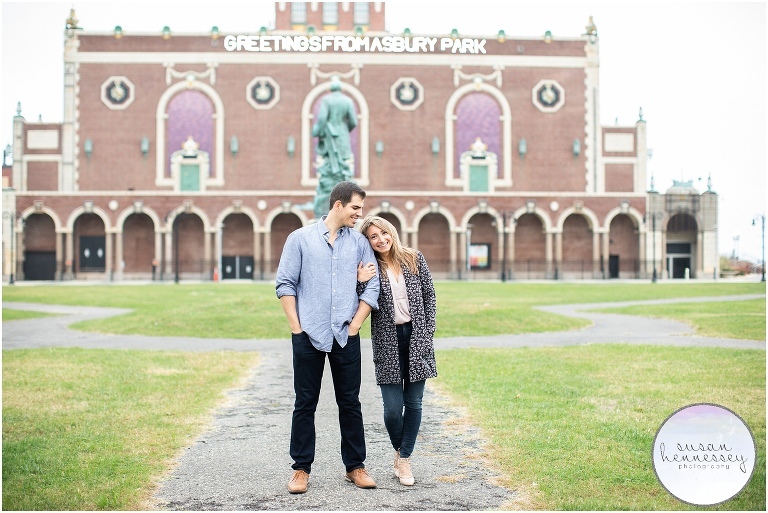 Last Fall, I photographed Olga and JR’s colorful Asbury Park engagement session! 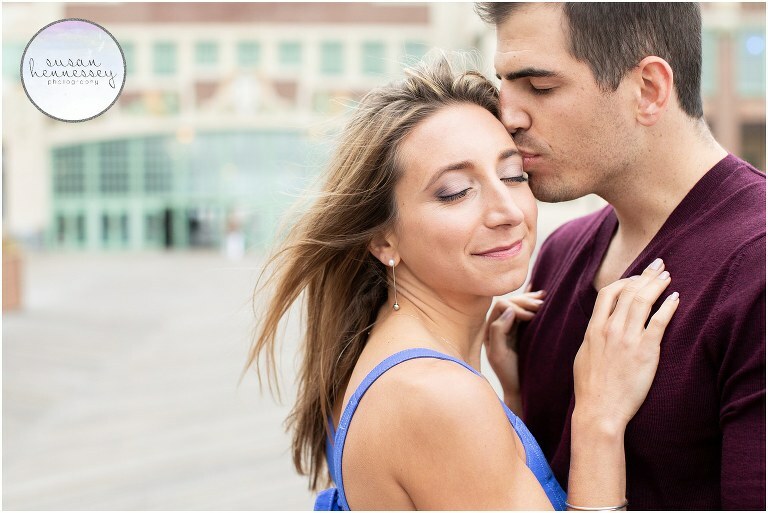 Olga and JR met freshman year at Northeastern University, they had two classes together so it was hard to ignore one another, so that turned into a “hello”. They soon realized they lived in the same dorm and they quickly fell into a fun routine between dorm, class, Dunkin’ Donuts, class, Family Feud, lunch. They soon also realized they attended the same Freshman Orientation weekend, and had some mutual friends. The friend groups merged, and their Northeastern friend group was made. They ended up liking the same classes, so their major of MIS & Finance was finalized. This made it easy for JR to benefit from Olga’s extensive schedule analysis, and Olga to learn from JR’s test taking skills. Shared schedules and endless study sessions were naturally followed by parties with all of their friends, and JR so kindly sharing his massive stash of Ramen when Olga wanted a late night snack. JR first left an impression on Olga’s parents, when she was cleaning out her freshman year dorm. Olga didn’t have any cleaning supplies, which is of course very surprising for everyone who knows Olga. When Maria was appalled and unsure of what to do next, Olga texted JR to hopefully be saved. JR came up with his solution, a homemade “broom” of sorts. He had tapped a brush to a stick to clean his room, and let Olga borrow it to clean hers. From that moment on, Maria would always refer to him as the boy with the broom, and she was fascinated by his creative solution. Their first date was four years later, Olga graduated and JR returned from Co-op in New Jersey, and everything seemed different. They had tried to ignore it and were too good of friends and it was too much to risk. At Countryfest, they finally acknowledged that their relationship had become weird, their friendship had become something more, and they weren’t exactly sure what to do about that. At first they thought none of their friends noticed, but they later learned that they are not very good at hiding things. 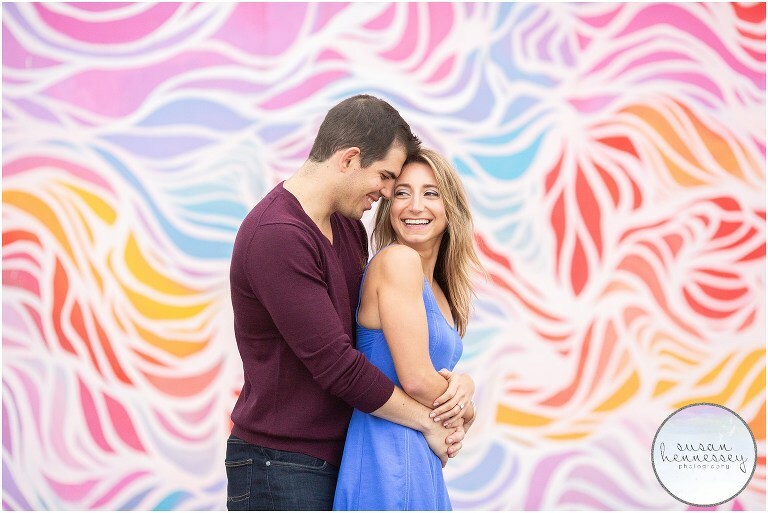 These two are planning a classic and modern wedding at Windows On the Water at Surfrider Beach Club in Sea Bright, NJ in September of this year! When they are not wedding planning, they enjoy hiking with their dog, watching TV and movies, checking out new local breweries, traveling, going to the beach and spending time with family and friends. Once married, their dreams are to travel, creating a home, supporting each other’s goals and becoming a family. Remember it’s about the two of you – don’t let pressures from others direct anything. Saying I Do to forever together and enjoying the celebration with all of our loved ones! 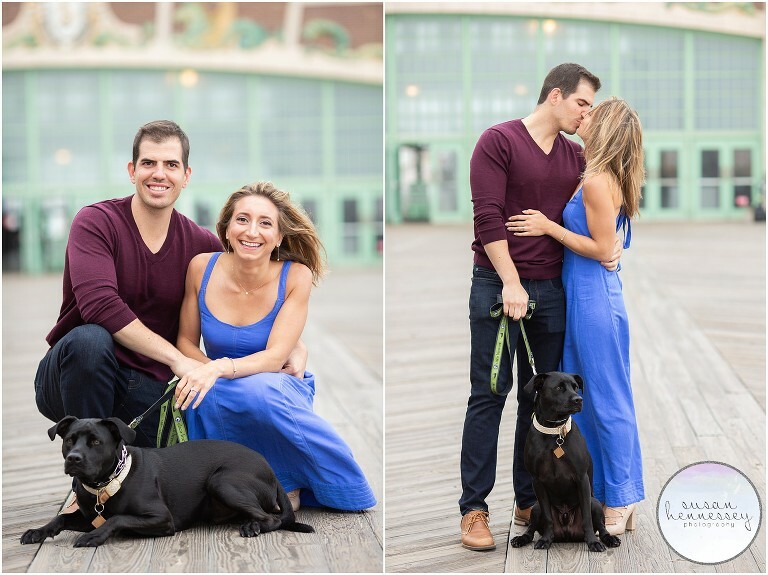 Are you planning an Asbury Park engagement session, click here to view all the fun and colorful sessions I have photographed at this iconic location and if you’re ready for more info, click here to fill out my contact form!